Terms noted with an * are quoted from IPC-T-50, Terms and Definitions for Interconnecting and Packaging Electronic Circuits. Terms marked + are from ERAI Terms and Definitions, terms marked with = are from IPC-A-610, and terms marked ~ are from JESD88. Acceptable: Product meets all contractual requirements, in reference to manufacturers’ specification and specified conditions agreed upon by the buyer and seller has been determined by both parties to be acceptable product with which to fulfill said contract. Barcode: An internationally recognized symbology where the method of printed bar and spaces are used to represent numbers, letters or punctuation marks that are read rapidly by a laser scanner or some other interface to an electronic database for identification and other inventory control purposes. Broker: An agent with specific market knowledge and skills who provides value by making possible successful transactions between two parties unknown to each other or in opposition to each other. In the independent distribution market, brokers are professionally referred to as independent distributors; see independent distributors. Desiccant: An absorbent material used to maintain a low relative humidity; desiccant may be a silica gel or other absorbent material packed in dustless pouches and must meet or exceed MIL-D-3464 Class II requirements. Device Package: The type of physical configuration of an electronic component. Refer to IPC-DRM-18 or MIL-STD-1835 for detail information about the types of device packages available and their characteristics. Disposition: The decision made by management (policy or referee) for determining the future use of nonconforming material. Examples of dispositions are to scrap, use-as-is, retest, or rework. Factory Sealed: (1.) Electronic Components that have not been previously used and that meet all of the specifications of the industry definition of NEW and that which are contained in the original manufacturer’s sealed packaging. (this includes but is not limited to: original factory tubes, reels, trays, bags, labels, antistatic bags, etc.) (2.) Goods should be supplied in the original factory box when possible, but goods do not have to be sold in the factory box in order to meet the definition of Factory Sealed. (3.) All factory new components should have consistent date codes, week codes, lot codes and country of origin, unless specified otherwise on the original factory label and unless packaged otherwise at the factory. Finding: Information or a characteristic about a part that indicates an unacceptable attribute. The quality management system within an organization may have established policies that pre-dispositions certain findings while other findings must be reviewed by a subject matter expert or a team of subject matter experts within an organization for final disposition. Franchise Distributor: A distributor whom a manufacturer has authorized to distribute its product lines. Such contracts may include clauses that provide for the manufacturer’s marketing and technical support, exclusivity of inventory to the franchised distributor, as well as competitive limiters. Generic Part: A part that purports to function as specified that does not violate any intellectual property rights. Independent Distributor: A distributor that purchases new excess inventories from end users with the intention to sell and redistribute back into the market. End users are typically original equipment manufacturers (OEMs) and contract manufacturers (CMs) at locations all over the world. Independent distributors subsequently sell (re-distribute) the new parts from these excess inventories to other OEMs and CMs to fulfill inventory shortages with hard-to-find, obsolete, and competitively priced parts. Independent distributors do not typically have limiting contractual agreements or obligations to the components manufacturers, therefore such distributors are referred to as independent distributors. Inspection Methodology: Accept and/or reject decisions must be based on applicable documentation such as contract, drawings, specifications and referenced documents. Moisture Barrier Bags (MBB): Moisture barrier bags (aka moisture vapor bags) are utilized to protect electronic components from moisture damage and are typically made of multiple layers of plastic and aluminum to restrict the rate of moisture transmission from outside the bag to inside the bag. The degree of moisture protection of a moisture barrier bag is determined by a measure of its Moisture Vapor Transmission Rate (MVTR) also known as Water Vapor Transmission Rate (WVTR) based on the formula MVTR is measured in grams of water vapor, per 100 square inches of barrier, per 24 hours (g/100in2/24hrs). Moisture Barrier Bags are specified for other properties as well such as ESD and puncture resistivity properties. Refer to J-STD-033B for more technical information. New: (1.) Electronic Components that have not been previously used in any capacity. (2.) Goods that are free of any physical defects such as: scratches, test marks, third party markings, programs or bent leads. (The leads on NEW parts should be in pristine condition; this does not mean refurbished, if the leads have been retinned / refurbished, they should be classified as refurbished. (3.) New product should be packaged in the original manufacturer’s packaging (tubes, trays, reels, or as is specified by the manufacturer). This does not mean the original factory box OR factory sealed. (See EXCEPTION “A”) (4.) Components in tubes and in trays should have the same date code, lot code and country of origin. Components on a reel should have the same date code, lot code and country of origin unless otherwise specified on the original factory label. (i.e., as was packaged by the original manufacturer) A distributor can sell more than one date code in a shipment; however all components in a single tube, tray or reel, etc., should contain a consistent date code, (including week code and lot code) and country of origin. (5.) New product does not need to be factory sealed in order to meet the industry standard definition of “new”. However, moisture sensitive and static sensitive devices should be packaged in the proper ESD packaging material. Note: EXCEPTION “A”. Original Packaging: If you own new product that IS in the original manufacturers packaging, but a customer places an order for a small quantity, you may be forced to place this material in third party packaging. If you must remove goods from the original packaging, this should be disclosed to the Buyer at the time of the sale so that the Buyer can verify goods in third party packaging will be acceptable. You should also verify that the third party packaging you will be using is acceptable. For example: If the seller places the small quantity in ESD Foam, rather than in trays, this could cause a problem. In a situation like this, the seller should disclose to the Buyer how the goods would be packaged and shipped. If the seller does not indicate this condition and the parts are shipped in third party packaging without the Buyer’s knowledge, the Buyer may have the right to reject the shipment. Nonconformance: A determination of not meeting the agreed upon specifications or terms of the contract. 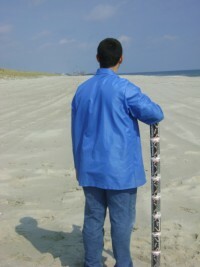 Observation: An inspection term used to describe a characteristic about a part, its packaging, or its known history that has not been determined to be an unacceptable or a nonconforming characteristic but has been recorded as a potential indicator of non-quality and may be considered as part of a cumulative condition. Open Market: The trading market that buys or consigns primarily original equipment manufacturer’s (OEM) and contract manufacturer’s (CM) excess inventories of new electronic components and subsequently utilizes these inventories to fulfill shortages to other OEMs and CMs with urgent or obsolete demands. Open Market Quality: Part is in new condition exhibiting no visual evidence that part quality has been compromised since leaving the manufacturer’s quality control therefore meeting all the manufacturer’s specifications. Package: The shipping box that product is packed into for shipping purposes. The inspection process of orders should begin with the inspection of the package upon receipt of delivery for signs of evidence of drop, punctures, contamination, or moisture damage. Packaging (Component): Component packaging refers to the manner in which electronic components are packaged in preparation of use by electronic assemblers. The determination of packaging types is determined by product sensitivities such as moisture, physical (lead pitch, co-planarity), ESD, as well as the method (manually by hand or by use of machines) to be used to place parts on the printed circuit board. There are four types of packaging: bulk, trays, tubes, and tape and reel. Packing: The process and materials used for preparing product for safe shipping and delivery. Referee: Typically a quality or reliability engineer with the knowledge and experience to make final decisions on behalf of his or her employer regarding the quality acceptance or rejection of a part. Refurbished: (1.) Devices that have been brightened, freshened, polished or renovated in an effort to restore them to a like new condition. (2.) Refurbished components have had their leads realigned and have been re-tinned to give the lead a shiny new finish. (3.) Parts that have not been re-tinned should be classified as Used NOT Refurbished. (4.) Programmable, refurbished components should be erased and should not contain programs. (5.) Refurbished material should be sold in the manufacturer’s recommended ESD compliant packaging. The packaging may not be factory original packaging, but may be third party packaging. Re-reeled: Re-reeling is typically performed at the request of the end customer who wishes to have repackaging of two or more partially consumed reels of the same part number in order to facilitate uninterrupted machine placement of components. Static-Shielding (ESDS) Bags: Packaging bags or pouches that insulate and protect against static discharges as well as provide conductive Faraday Cage properties to shield against electrostatic fields of nearby charged objects. Tape and Reel: A method of packaging small parts in a contiguous length of tape containing pockets for each part to rest in. The component filled tape is then rolled and stored on a take up reel, providing for a continuous feeding method for pick and placement machines during assembly production. Trays / Waffle Trays: Specifically designed trays to prevent damage to surface mount devices including ball grid array parts. Trays are stackable and are used in automated pick and place machines. Trays can be utilized for holding of parts for baking processes; the temperature limits are typically indicated on the tray. Trays are specifically designed for the components they hold and are many times not easily interchangeable. Parts placed on incorrect trays are subject to damage and are a first tell-tale sign that the parts quality has likely been compromised. Tubes: Sometimes referred to as sticks or rails, tubes are component packaging used to keep components safe and prepared to drop into automated component insertion machines. Unacceptable: Product fails to meets all contractual requirements, primarily meaning that product does not meet the manufacturers’ specification and/or any one of the requirements contractually agreed upon by the customer and the supplier. Unresolved Item: Any inspection result that requires more information in order to determine that it is an acceptable item or whether a nonconformance may exist. Unused: (Also referred to as New Surplus): (1.) Electronic Components that have not been previously used (meaning, the parts have never been electrically charged nor have they ever been placed on a board). (2.) A shipment of unused material can contain tubes, reels or trays of mixed date codes, lot codes, country of origin. (3.) Unused goods may be sold in third party packaging (i.e. : 3rd party reels, tubes or trays) (4.) Unused material should be guaranteed to meet the full manufacturer’s specifications when tested. (5.) Unused material may have minor scratches or other physical defects as a result of handling. (6.) Leads should be in good condition and should not be refurbished. (7.) Unused material should be packaged in unused third party or factory packaging. (8.) Unused parts should be free of any programs. Used: (Also referred to as Pull(s), Pull(ed), or Refurbish(ed): (1.) Product identified as used are parts that have been electrically charged and subsequently pulled or removed from a socket or other electronic application. (2.) Used parts should have full leads, unless otherwise specified. (3.) Used parts may be sold in third party packaging or in bulk packaging and may consist of numerous date codes, lot codes, week codes and country of origin. (4.) Used parts may have physical defects such as scratches, slightly bent leads, test dots, faded markings, chemical residue or other signs of use. (5.) Used parts may be sold with a limited warranty. (6.) Used programmable devices may still contain programs or remnants of programs not completely removed from the component which could affect the device’s future use and functionality. (7.) Used parts that are sold as refurbished should meet the Industry Definition of Refurbished or should be sold simply as USED or PULLED. Vacuum Pull / Seal: A step in the packaging process to minimize oxidation and moisture damage to components by drawing out air from inside a moisture barrier bag then heat sealing. These Terms and Definitions are from IDEA-STD-1010-A and are posted with permission of the Independent Distributors of Electronics Association (IDEA).